Of course you’re wanting to look good this Summer! And what better way than doing it the easy way!? 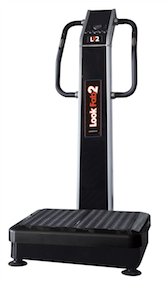 Just 10 minutes a day on the LF2 vibration plate and you really will LOOK FABULOUS in 3 weeks! Perfect timing for that last minute holiday you’ve just booked. The LF2 is perfect if you’re wanting to drop inches quickly, and safely. All you need to do is jump on the vibration plate once a day, for 10 minutes and you will notice the effects within 3 weeks. Excellent for toning, reducing cellulite, burning fat, and many more. Just read some of the amazing results you could get here. Once you’ve returned from your holiday’s don’t be dis heartened, you can keep using the machine, then when you’re back on the school runs you’ll be the envy of all the school playground mums, everyone will want to know your secret! If you’ve already got your LF2 at home and are seeing great results be sure to let us know, either send us a picture showing your before and after pictures, or leave us a review here, so others can read your success stories. (Don’t be afraid of bragging about your lovely new physique). To send pictures either send via email at info@lf2.co.uk, or writing to us on Facebook or Twitter. It’s just £12.25 per week, plus a small refundable deposit, and everything is included, no hidden extras. Delivery, installation and collection is provided when you book in for the install, so no need to panic about money, it’s a domestic price for a commercial quality machine, what more could you want?! Call our sales team on 0161 344 0726 or visit our website www.lf2.co.uk if you need any more information or to go ahead with an install at home.